Over the past 55 years, New York City has developed a system of transferring air rights in order to achieve both broad and specific urban planning goals. 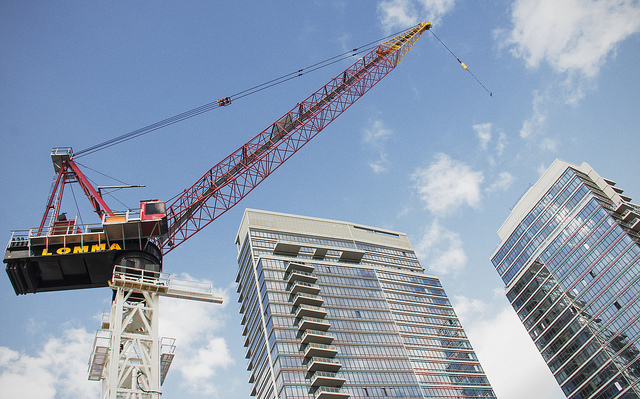 Broadly speaking, real estate developers are motivated to build tall because higher floor units command higher prices since buyers are willing to pay a premium for views and light. But developers are not allowed to build as high as they’d like, unfettered by zoning regulations. If they did, quality of life would decline since the city would be a whole lot more dense, a whole lot darker and a whole lot more congested. To prevent the over saturation of the city with tall buildings sardined next to each other, the city rehauled its zoning regulations in 1961 and placed some restrictions on developers. These restrictions were intended to ensure that the new construction buildings would not denigrate quality of life while allowing for the development of new commercial, residential and public property. 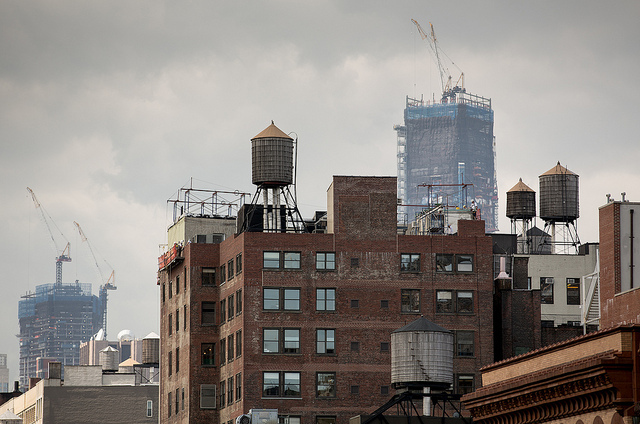 What Exactly Are Air Rights? Air rights generally refer to the empty space above a property. But what happens when a building is only six stories high when it could potentially be 32? This is referred to as a building’s “unused potential” and a nearby building or development could tap into that potential. For example, if Building A is “underbuilt” according to the neighborhood’s zoning code, the developer of nearby Building B can acquire Building A’s unused air space and add it to his own site’s allotment to ultimately construct a taller building. The developer of Building B is acquiring and transferring the air space of Building A’s unused potential. This transfer of air rights process ensures that the neighborhoods that are the sites of new development are also the neighborhoods that currently have underbuilt lots that can pass on their unused air rights to a new development. In the grand scheme of things, this helps ensure that the whole neighborhood doesn’t get overdeveloped and becomes too dense. One of the most critical factors regulating the height of a new development is a building’s floor-to-area ratio (FAR). FAR is the maximum number of square feet that can be built on a site relative to the square footage of the lot. A building’s FAR, however, can vary depending on the location of the lot (i.e., its zoning district or whether it faces a wide street or narrow street), the use of the building (commercial, residential, community or manufacturing) and whether the building offers a benefit to the public (i.e., public outdoor space or affordable housing units). How Are Air Rights Transferred? As anyone who’s ever walked through SoHo on a Saturday knows, New York City is one of the densest and most expensive cities in the world. It should come as no surprise then, that air can be just as coveted and costly as land. As a result, owning and selling air rights can be a hugely lucrative process. There are three primary ways this transfer process occurs. Zoning lot mergers are the most common form of air rights transfer and primarily transpire in Manhattan south of Central Park. In a typical zoning lot merger, the owner of underbuilt property with unused development rights decides to link his property with the developer of an adjacent property or lot so that the developer can build a taller building than what would be otherwise allowed by his property’s FAR. The city does not have to approve this kind of transfer and the owner of the unused development rights stands a chance get a huge profit from the sale of the right. In terms of urban planning goals, zoning lot mergers help ensure that the neighborhoods receiving the most new development are also the neighborhoods that have historically been the most underbuilt. Special purpose district transfers are another form of air rights transfers. These types of transfers occur in areas deemed by the city to be ‘special purpose districts’ and allow air rights to be exchanged between granting and receiving sites that are not contiguous. The city allows for these sorts of transfers in special cases when there is a particular zoning goal targeting the area. Examples of special purpose districts include the Special West Chelsea district near the High Line and Special Hudson Yards District, among others. Landmark transfers are another form of exchanging air rights and involve properties and sites that have been deemed historically or culturally significant by the Landmarks Preservation Commission. In these types of transfers, New York City zoning code allows the exchange of air rights between an LPC-designated landmark and other properties wishing to develop land. The two properties do not necessarily have to be contiguous and in many cases are across the street from each other or even down the block from one another. The underlying principle behind landmark transfers is that new construction occurs in neighborhoods that are less dense due to the unused air rights of underbuilt landmarks. An additional advantage to these types of transfers is that destitute landmarks do not have to sell off property to generate revenue but rather can sell off unused air rights. In NYC, air can be as expensive as land. Read StreetEasy Blog to learn more about the NYC zoning rules that regulate the transferring of air rights.